It doesn’t have to cost the earth when it comes to decorating your child’s room. There are plenty of cheap and cheerful ways you can update the room without spending too much money. Painted feature walls are very popular right now. You can create lovely designs on your child’s bedroom wall with some paint tester pots and some decorator’s tape. You could even have the child pick out their favourite colours and if they’re old enough, help you paint the wall. It could be a great project for the two of you. Changing the furniture around can instantly make the room feel like it has been updated. It costs nothing except time and you can be sorting out toys and clothes while you’re at it. Another good idea is to shop your house; this means you have a look around your home and see if any of the furniture can be better suited to your child’s room. It’s not as cheap as some of the tips here, but replacing the bedroom furniture is one of the updating options that will have the most impact. You can shop online with Children’s Bed Shop for some gorgeous bedroom furniture that your child will love. They have a wide selection of bunk beds, mid sleepers, single beds and even themed beds such as racing car and teepee shaped beds. If buying new isn’t in the budget, you can update the existing furniture by giving a coat of paint. Chalk paint can be used without having to prepare the furniture. As long as it’s clean and free grease, it should be fine to paint. You may have to finish it off with a coat of wax to seal it and make it long lasting. 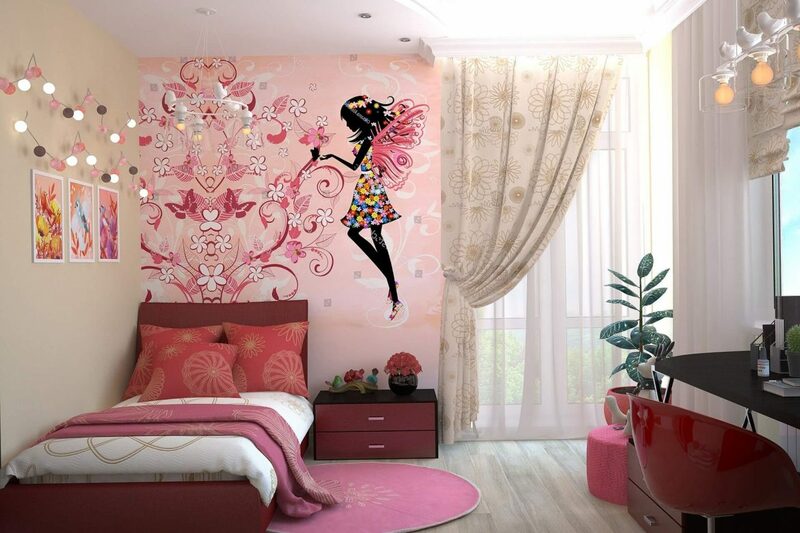 Wall stickers can be found on eBay for excellent prices. There are hundreds of designs and all you need to do to prepare the wall is to ensure it is clean. It’s a very quick and cheap way to bring a whole new look to a room. Stencils used to be a very popular way of creating a unique look in your room. They fell out of popularity for a while but they’re great for a child’s room. You can let your creativity flow with different designs and colours. Every parent should encourage their child to develop a love of reading. One of the ways to do this is to create a cosy reading nook. Your child can sink into a comfy beanbag chair or a pile of squishy cushions and lose themselves in a magical story. Lots of people use the spice racks from Ikea to make space-saving book storage. Click the picture to be taken to the full tutorial. We accumulate an awful lot of our children’s artwork throughout their time at nursery and infant school. It can’t be thrown away because of course, they’re extremely proud of their efforts! Framing some of their artwork and hanging it in their room is not only a great way to decorate, it can help foster their self-esteem and build confidence.